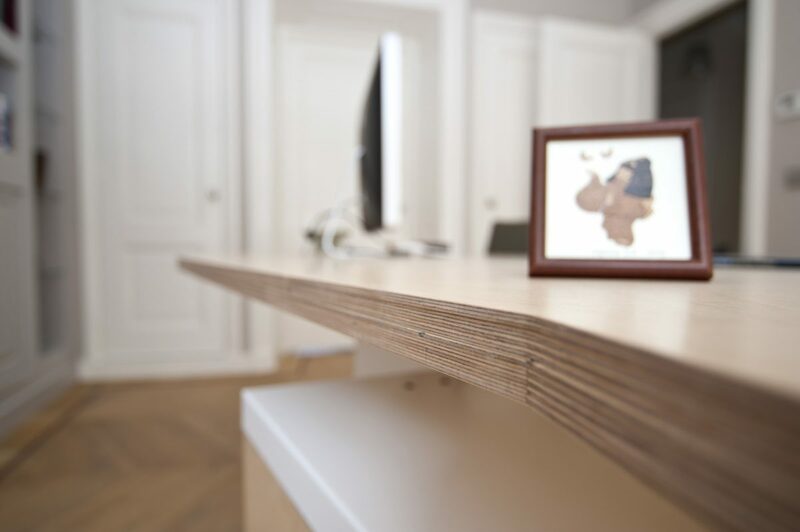 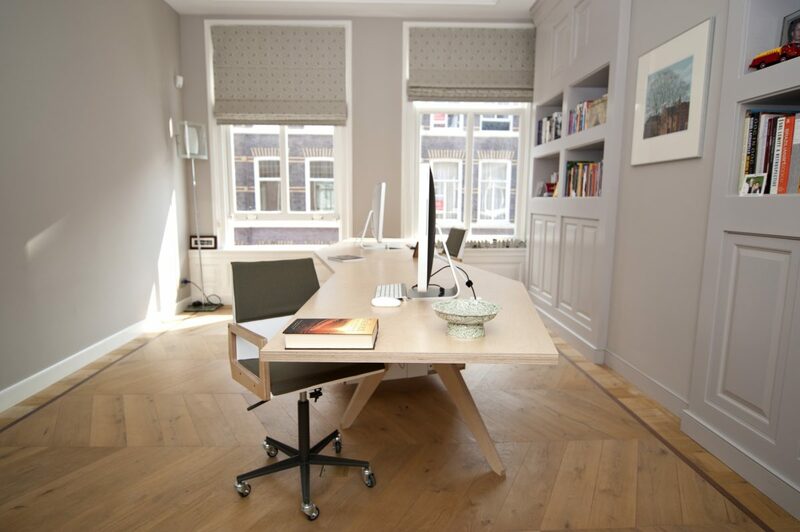 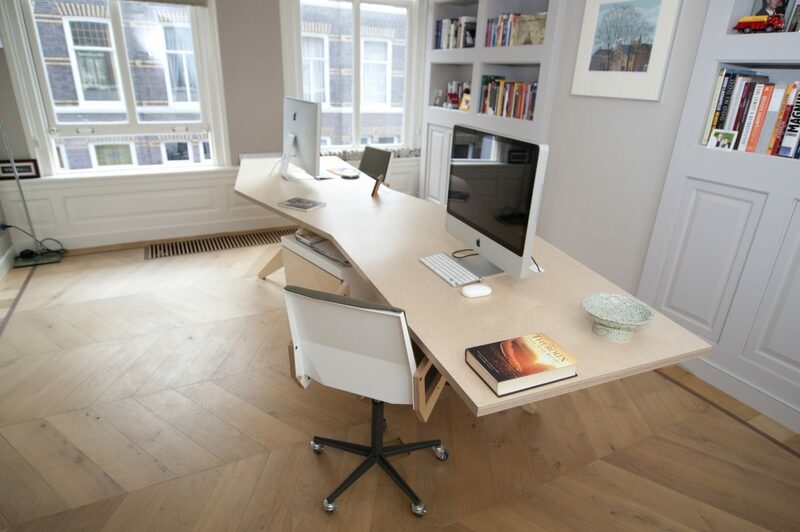 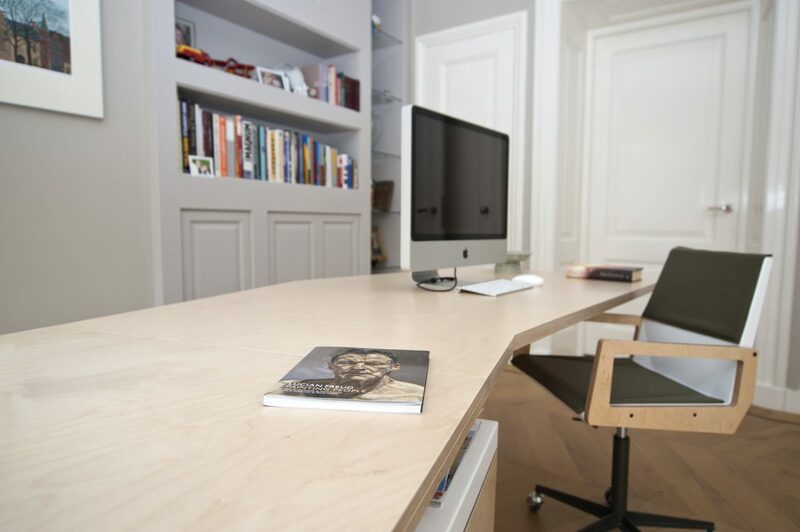 This office table provides two opposite working spaces by making a jagged edge curve. 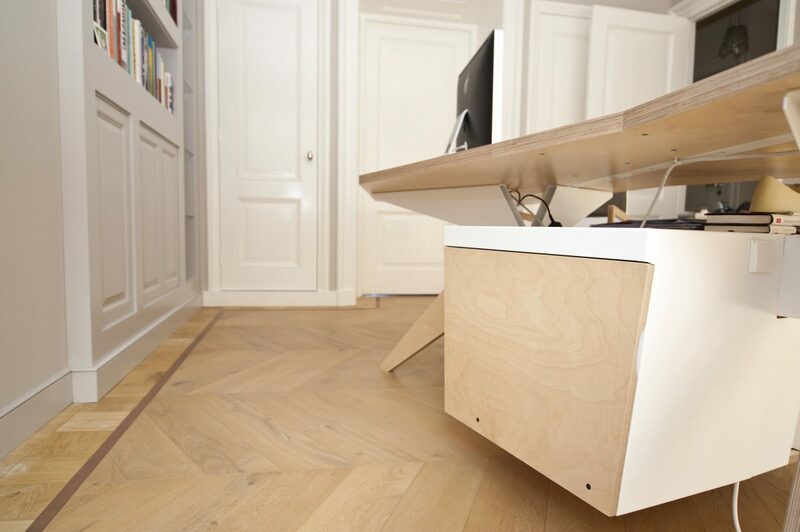 Each spot has access to a storage space in the middle of the table floating just under the tabletop. 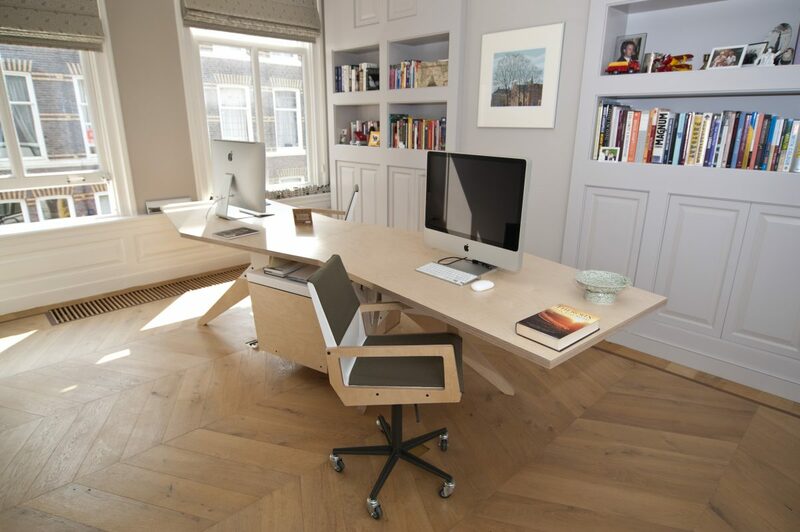 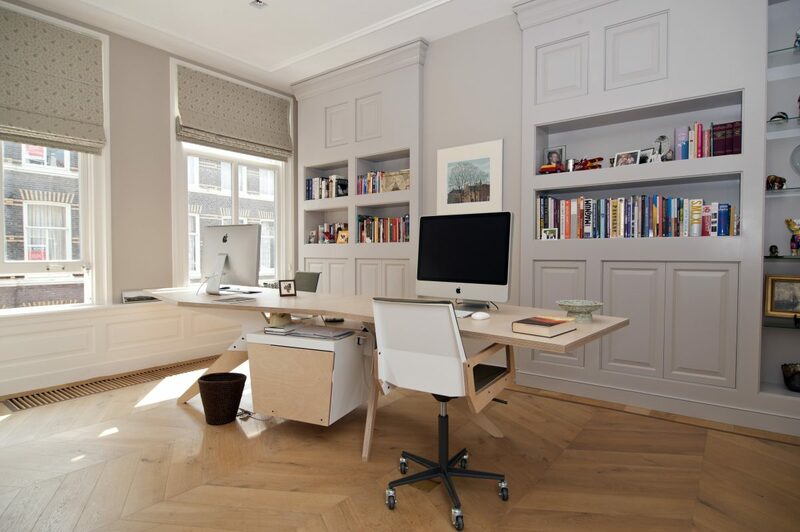 The matching office chairs are also designed by us.